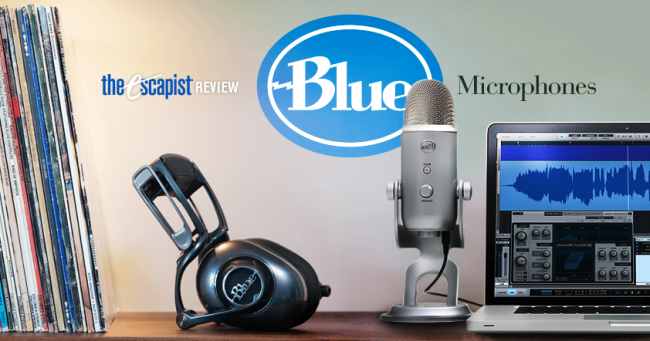 In this Blue Microphones review roundup, we'll cover the Mo-Fi headphones, Blue Yeti Microphone, Radius II shock mount, and The Pop windscreen. Review unit provided by manufacturer. Blue Microphones is known for its, well, microphones. I mean... it's right there in the name. So when the company decided to make its first pair of headphones, one would naturally assume it may take a few iterations before nailing a really solid product. But Blue found in its Mo-Fi headphones a winner on its first attempt. One distinguishing factor of the Mo-Fis is the built-in amp. Previous analog headphones that I'd plug into my computer had to be turned up to max volume just to be loud enough for everyday use - but with the Mo-Fis, the amp allows you to turn the volume up to truly obscene levels. A switch allows you to select between three amp settings: off, on, and on with bass boost. Even without the amp on, the Mo-Fis sound fantastic. The lows, mids, and highs are all crystal clear, with a full sound that is neither tinny nor too bassy. Of course, the boost amp setting is available for you bass fiends. The headphones are wired, but the amp requires battery charge, which can be done via USB connection to a computer, or by using a provided adapter for an outlet. The amp's battery life is said to be 12 hours of active use, with a "smart" system that automatically turns the amp off when you aren't wearing the headset, preserving battery life. I mostly used the headphones sans amp, but I liked having the option to turn the volume up higher if I wanted to. The Mo-Fis can be used with any device that accommodates a standard 3.5mm audio jack and come with a couple different cables to select from depending on whether you're plugging into a computer or a smartphone. An adjustable tension knob allows you to customize how the Mo-Fis rest on your head and how tightly or loosely they cling to your skull. The "height" of the headphones can be further adjusted thanks to a joint on the side of the earcups, which are shaped like actual ears rather than circles and are truly circumaural. My ears weren't being crushed by the pads, nor were they floating around in vast emptiness - they were snugly enveloped. While the Mo-Fis possess no active, electronic sound reduction, the thick ear pads do a great job of keeping sound out - and in. Both aesthetically and ergonomically, I love how the Mo-Fis fit my head. That said, their weight may take some getting used to. The Mo-Fis are heavy, which may be an issue for you, but the upside of this is that they feel absolutely sturdy. Lighter headphones tend to feel flimsy and like they may snap if mishandled, but the Mo-Fis are robust and solidly constructed - I cannot locate any piece that seems like it would snap without some serious attempt at destruction. If there is one real "con" to list for the Mo-Fis, it's the price. Currently selling for $350 (on Amazon), they aren't cheap. However, they are priced competitively for the quality you're getting. The Mo-Fis are the second set of high-end headphones I've owned, and I haven't gone back to my other pair since I've received these. Bottom Line: Blue's Mo-Fis are expensive, but with that price tag comes the quality to back it up. Plus, you have to factor into the price the fact that you're also getting a built-in amp. Recommendation: For audiophiles, the Mo-Fi headphones are a no-brainer. For an average consumer that may be looking to spend a little more on a high-end pair of headphones to keep for years to come, Mo-Fis are a solid investment. 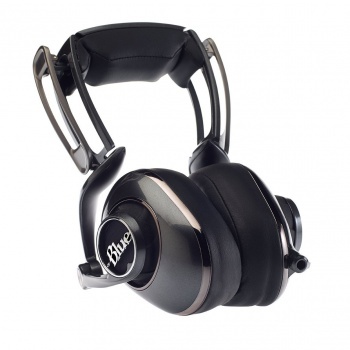 Thanks to our friends at Blue, we are giving away a set of Mo-Fi Headphones, with an MSRP $250, to one lucky winner! Fill out the form below to enter. All contest submissions must be in no later than August 26th at 23:59 EST for a chance to win. Beginning September 1st, winners will be drawn and notified via email.